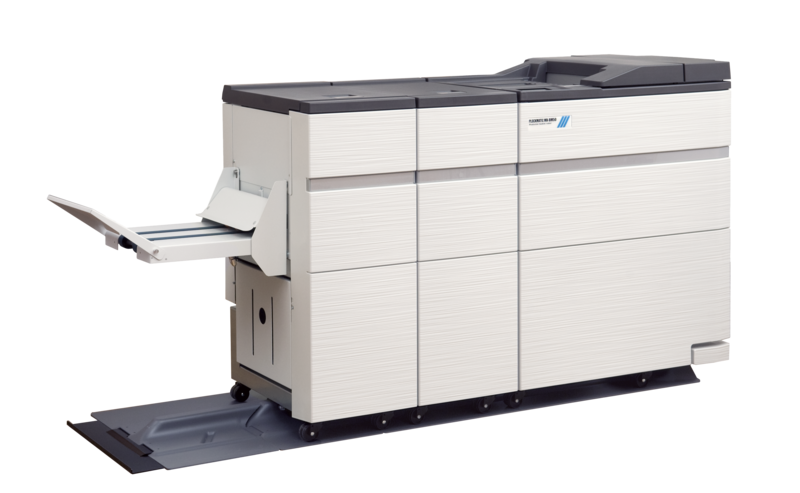 The Plockmatic MX-BM50 is a modular inline booklet making solution for centralized reproduction departments and commercial print providers – large and small. Customers can choose from a range of cost-effective options to support their application requirements. The system is packed with a host of unique technologies that deliver finished books with quality to match today’s printing systems. Customers are demanding more media versatility from digital print. 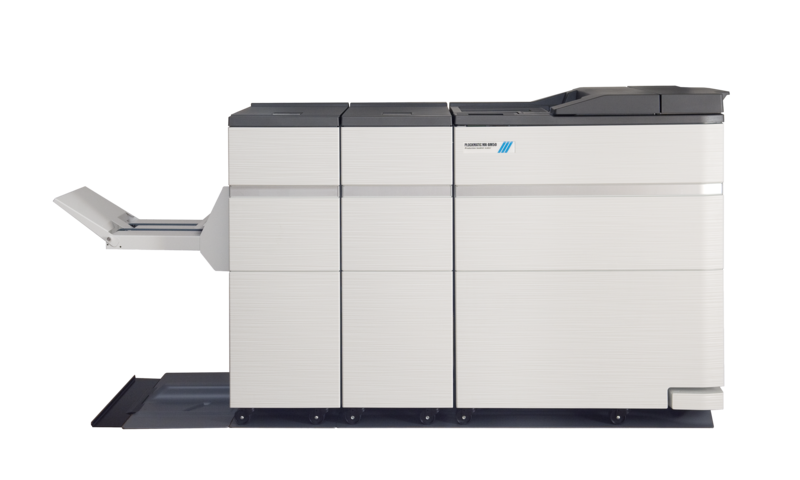 The Plockmatic MX-BM50 is de-signed from the ground up to work with today’s coated, uncoated and textured paper stocks. Plockmatic works closely with print engine manufacturers and workflow partners to ensure the closest possible integration of the booklet making system. 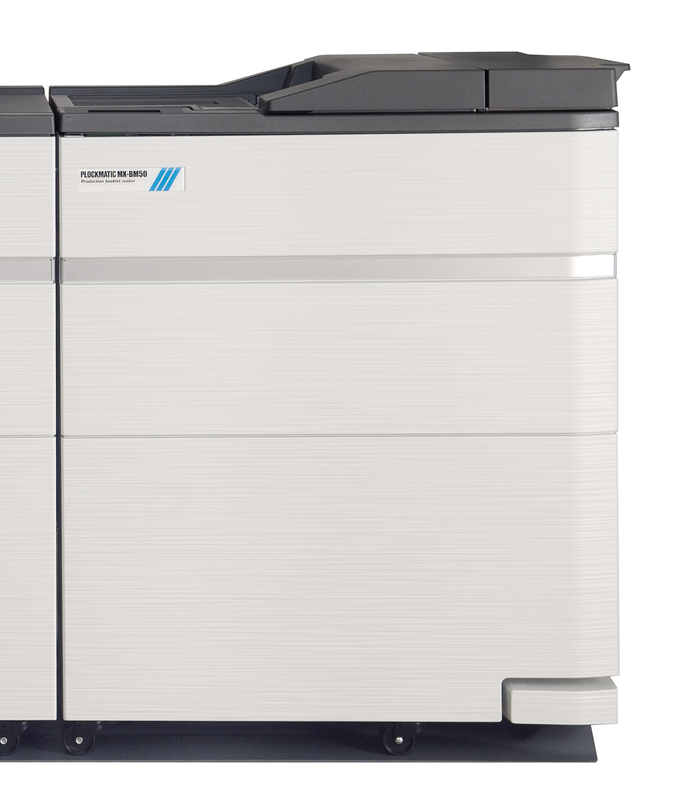 This supports ease of use and allows operators of different skill levels to get the most out of the entire printing system. 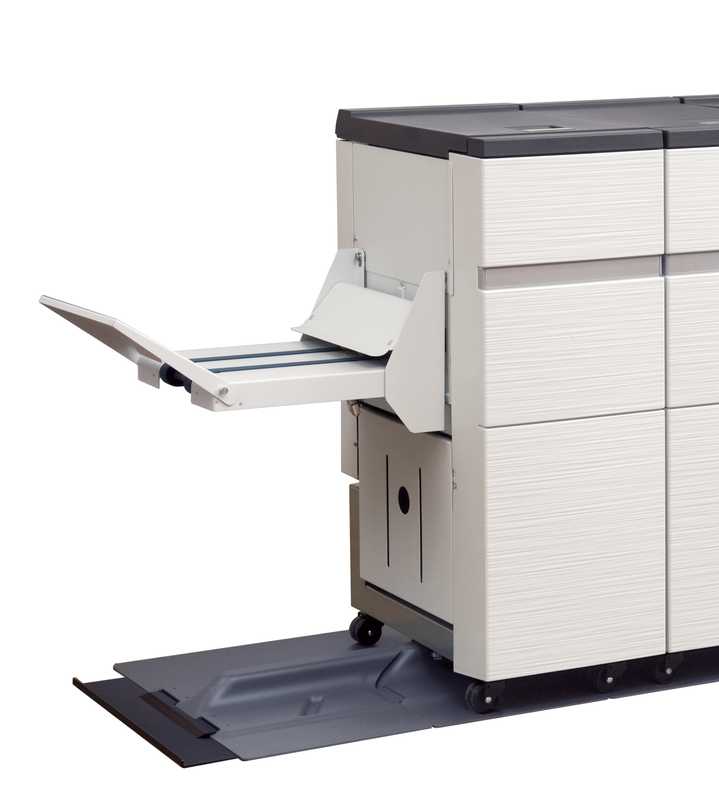 The MX-BM50 can staple and fold up to 30 sheets which creates booklets of up to 120 pages. Our latest fold mechanism gives a sharp fold for every application, resulting in professional looking documents every time. A cut away from perfection. The Face Trimmer module trims the side opposite to the spine eliminating the “shingle” effect that occurs with thicker booklets. Professional looking documents with the BookFold module. The BookFold module adds the finishing touch with a square folded edge and printable spine. Gives booklets the professional look of a perfect bound book. *When trimming SRA3 (450 mm) Booklets minimum trimming is 5 mm, when trimming 18" Booklets minimum trimming is 9 mm. The Cover Feeder dimensions are included in the Booklet maker dimensions and will not add to the footprint.